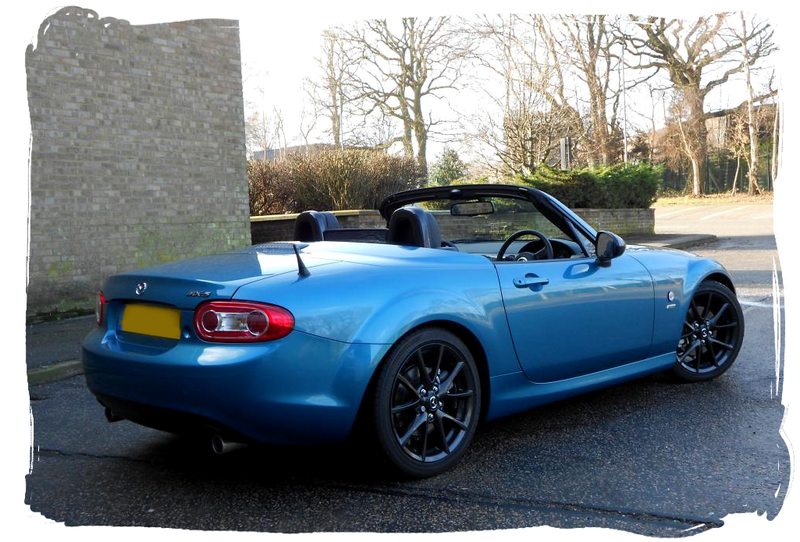 Steve's MX-5 is a 2013 model 2.0 Sport Graphite edition finished in Aquatic Blue Mica. This is a fairly rare colour and was only available on this edition. Sport Graphite was available with 1.8 or 2.0 engines but only in the coupe configuration. 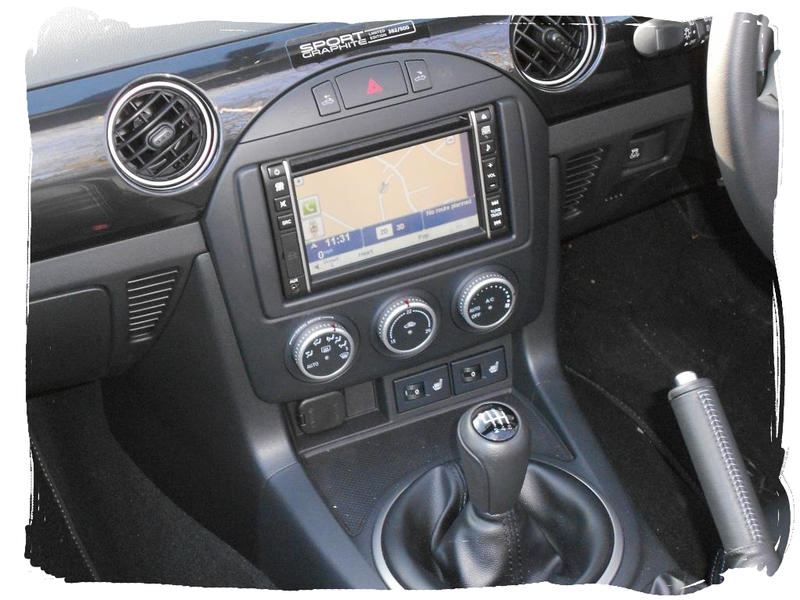 The specifications were broadly the same with the 2.0 also having the 6-speed gearbox, cruise control, Super-LSD, and Bilstein dampers. 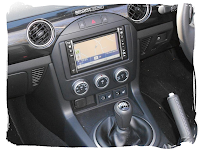 The main selling points were the unique colour options and contrasting Meteor Grey styling, dark gunmetal alloy wheels, and a navigation system included as standard equipment. "I did not set out to buy the Graphite, I was just passing the showroom and the sparkling cars and bright lights lured me in. As I walked in I saw the Sport Graphite taking pride of place in the showroom, fell in love with the colour and the moody front end and bought it. 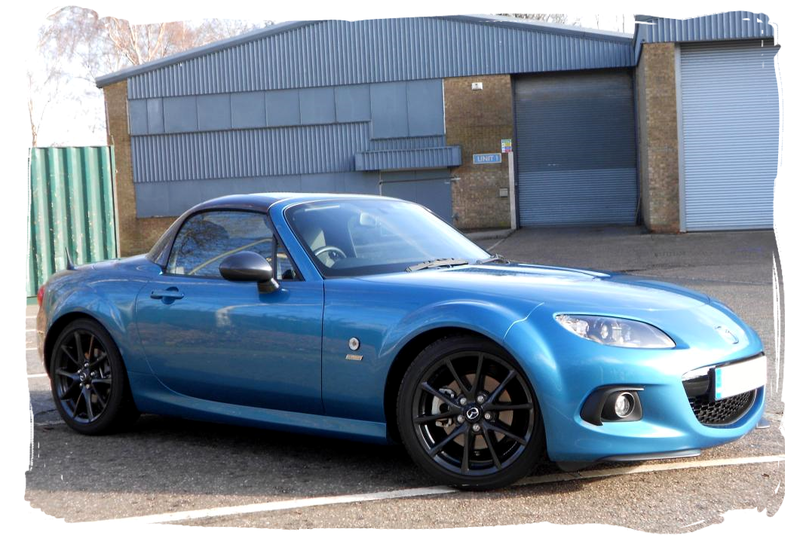 Now a few of my mates know that it's a disaster to let me near a Mazda showroom as I will end up buying another MX-5 as I'm addicted to them..."
Since the car is so new there hasn't been time for many modifications as yet. A great place to start though is to improve the handling. 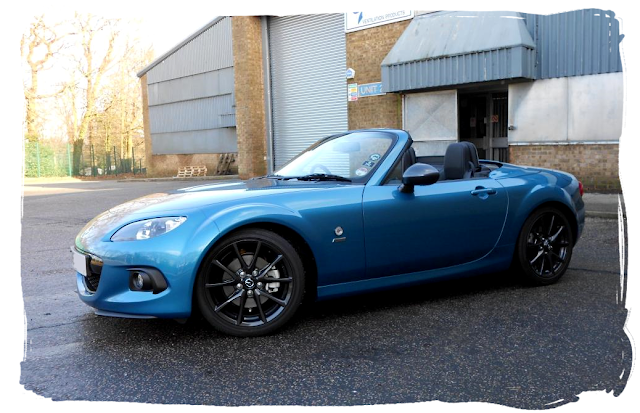 This has been done with Eibach lowering springs and a fast road wheel alignment adjustment by Wheels In Motion. The rear has been tidied up a little with the addition of a stubby aerial from Craven Speed. 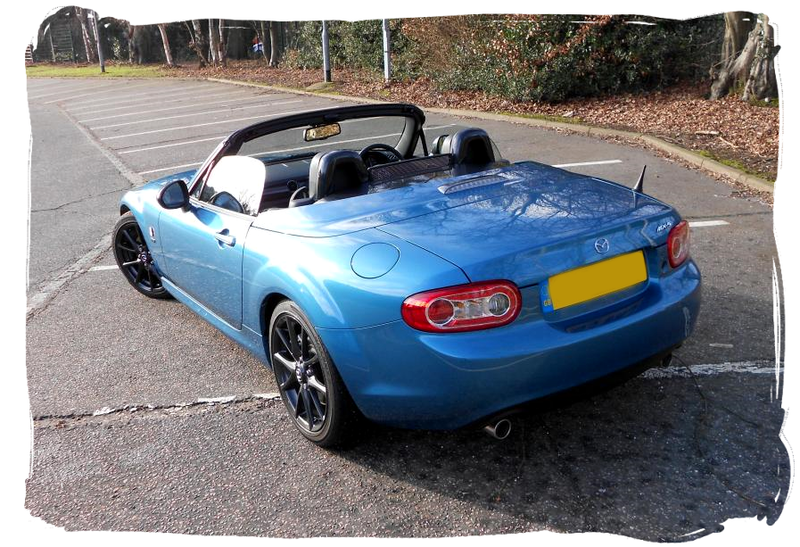 Steve's future plans include becoming increasingly tempted by the promise of more power from a supercharger or turbo conversion, and just enjoying the car which has led to meeting many fellow MX-5 addicts and some great friends - a story I'm sure many of us can relate to.